Users need fast, high capacity storage more and more for many different purposes, from archiving audio, images and videos to providing an instantaneous backup solution in the event of data loss. While optical discs and cloud computing are favored by many users, the best solution can be found in the shape of external hard disk drives. For instance, users of Mac OS X can take advantage of fast external devices to back up their entire operating system and user data with a single mouse click, a vital way to avoid massive data loss in the event of a hard disk failure. 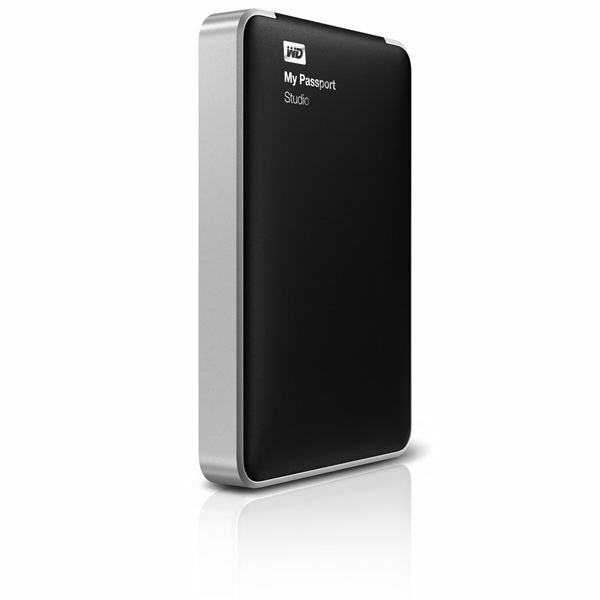 The Western Digital My Passport Studio is specifically targeted at Mac users, featuring a 1 TB (or 500 GB if you go for the smaller option) hard disk drive that can be connected via USB 2.0 or FireWire 800. 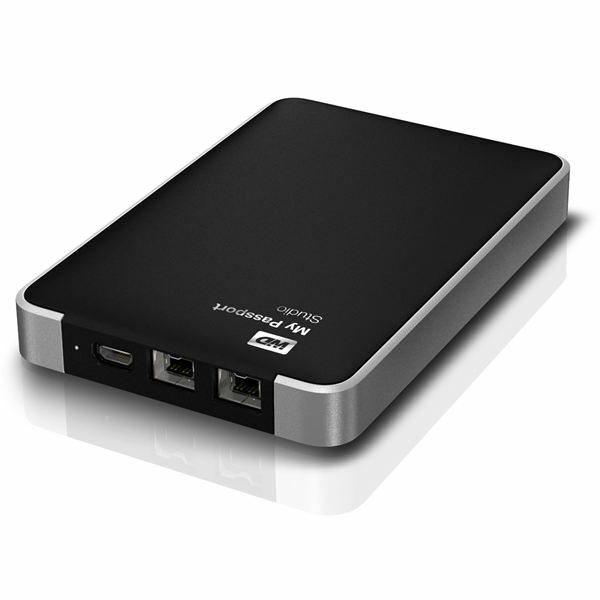 Intended for Mac users, the My Passport Studio external drive is formatted in the HFS+ Journaled format for machines running Mac OS X 10.5 Leopard, 10.6 Snow Leopard or 10.7 Lion. While the device can be used with a Windows computer, reformatting is required. If you are comfortable doing this and you’re using Windows XP, Vista or 7 then the My Passport Studio should be among your choice of external hard disk drives. Regardless of your choice of 1 TB (terabyte, roughly the equivalent of around 3.5 million standard-quality digital photos) or 500 GB drive, the real strength of this device is in the speed. Thanks to the FireWire 800 connectivity, data can be saved an accessed at speeds of up to 800 Mb/s. This high speed makes the device a particularly attractive option in a market full of alternatives. More information on this hard disk drive can be found at the Western Digital website. You will also be able to find out more about the 3-year limited warranty offered by the manufacturer. With its MacBook-inspired chassis and security-conscious password protection, the Western Digital My Passport Studio is extremely portable. The anodized aluminum finish looks great and the device’s small dimensions – is measures just 5 x 3.3 x 0.9 inches and weighs an impressive 10.9 ounces – will mean that you won’t be embarrassed to plug it in when anyone is watching! Whether you’re planning on using the device for backing up files with Apple Time Machine or simply increasing the available storage for your videos, music, photos and files, the My Passport Studio is ready to use with your Mac straight out of the box – simply plug in, connect to the fast FireWire 800 interface and get started! You can also take advantage of the second FireWire port to daisy chain a second external drive to your Apple Mac. Even if your Mac does not have a FireWire port, you can still use the disk drive via USB 2.0; the difference is that you won’t get the same speeds. While you can simply plug in and begin using it straightaway, the Western Digital My Passport Studio features some useful security and utilities that you should be aware of. These enhance an already excellent device and add a layer of flexibility that you may not find on other devices. If you are concerned about how easy this is, don’t be – this external hard disk drive has been built for usability. Thanks to the WD Security utility, you can set both password protection and hardware encryption for your My Passport Studio drive, enabling you to keep the data on the device safe from unauthorized access. Protecting your data from thieves is vital, and Western Digital makes it very easy to configure. Meanwhile if you run into any problems with your device, simply run the WD Drive Utilities. These tools include diagnostic and other useful software to help with the successful running of your external device. It is also recommended that you register your device as soon after purchasing as possible. External hard disk drives have become increasingly popular as storage solutions over the years, but they are often limited by the USB 2.0 connection, preventing regular use due to speed issues. Thanks to the presence of FireWire 800 connectivity on the Western Digital My Passport Studio, this is not a concern. Whether you plan to use the device to back-up your Mac, store data that you regularly access, use as a portable device with a laptop or simply keep data that you need but don’t have space for on your Mac, this particular external hard drive should be high on your list of devices to buy. 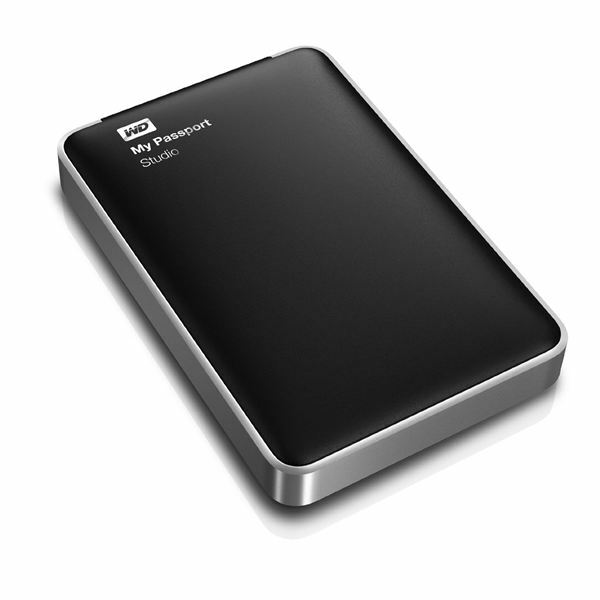 Setting you back a mere $279 ($179 for the 500 GB version), the Western Digital My Passport Studio is available from all respected online retailers.